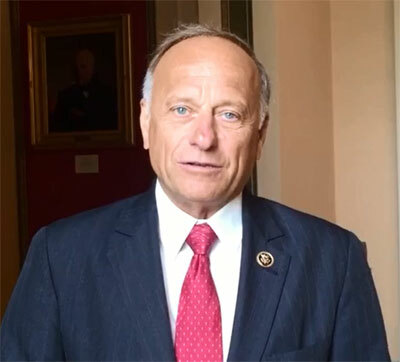 Iowa Congressman Steve King says the Florida congressman he’d been backing for House Speaker got just 43 votes in a private vote among House Republicans and Wisconsin’s Paul Ryan got 200. King then decided to cast his vote for Paul Ryan when the House took a public vote late last week. “When you go out on the floor, Republicans need to stick together,” King says. King says former House Speaker John Boehner was “heavy handed” and that’s why King and other conservatives “rose up” to push Boehner out. Boehner and King publicly clashed at times over some of King’s statements on immigration reform.